Cathedral Eximious Most Holy Rosary Paschal Candle 2-1/2" - 48"
One of Cokesbury's best selling Paschal candles. 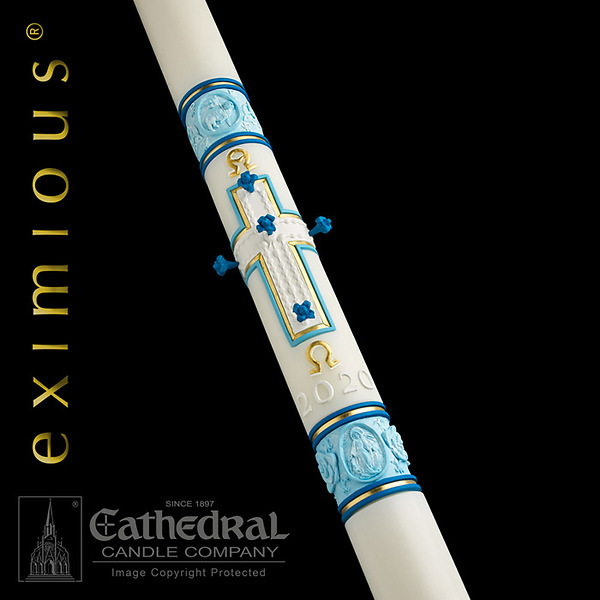 Cathedral's SCULPTWAX candles are 51% beeswax and are skillfully decorated with hand-cast, color infused wax. The beautifully detailed appliques created a striking and unrivaled, three-dimensional relief. Includes a set of five wax nails with embedded incense and year dates. Made in the USA.